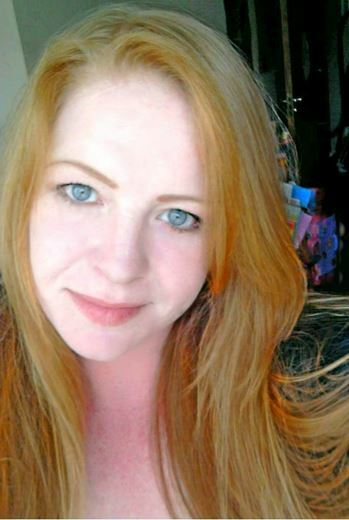 Irish native Georgina Flood is a self taught graphite artist. Her images of such iconic characters as the Beatles, Marilyn Monroe, Michael Jackson, Elizabeth Taylor and others reflect modern society’s fascination with fame and the glory days of Hollywood in a way uniquely her own. What was it like growing up in Dublin? What do you love most about living there? Growing up in Dublin has been good it is a nice city. The area of Dublin I live in is Crumlin, everyone knows each other and my daughter goes to the same school I did which is good…Family and friends are close by. Did you always feel drawn towards creative things? Yes I did, as a child I use to see my dads drawings around the house and I always wanted to be like him so I began drawing. What first sparked your interest in art? With the knowledge that my dad was very talented, at 7 I won my very first art competition which started the passion to go further, I knew then that I had something. Who were some of your earliest influences? My dad of course and from an early age I have loved Salvador Dali and Van Gogh. You have said George Harrison is the reason you do what you do. How did he impact you to follow your dreams? George brings out the best in me! Were you surprised your piece “Love is Real” helped raised as much as it did for Yoko Ono’s charity City Meals on Wheels? Yes very surprised but very happy that people liked it enough…I like to help out when I can and there are so many good causes out there it is very important to give back as I feel very fortunate to have the opportunity to do any of this. I like to spend time with my family, my daughter Mia and my husband Garry. They are so supportive which is great, they are so much fun. I feel at my most happiest when I am with them. Does your daughter share your love of art? Well Mia is 7 years of age and she does like to watch me draw and she loves doing art herself. She isn’t as into it as I am, but shes just a kid and is trying out lots of other things too, I’ll leave it up to her. Whatever her passion turns out to be I will support her 100%. You have also covered Marilyn Monroe and Elizabeth Taylor in your work. What do you admire most about such strong and dedicated women such as they? I do admire these women. To follow their dreams with such restrictions as there were back then must have been hard, but they persevered and their success is something women today can aspire to. What advice would you offer the women of tomorrow? Just to never let anyone tell you that you cannot achieve what you want in life ! Follow your passion, work hard, believe in yourself and enjoy every moment. 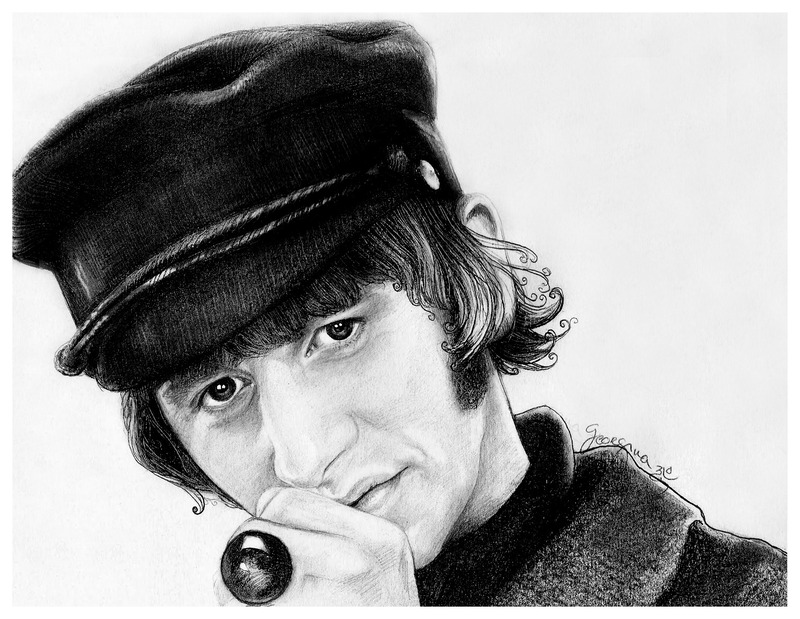 You have also presented your work to Ringo Starr and Paul McCartney is aware of it as well. Do you ever find yourself amazed at that? Have you ever got to meet any of them in person? No unfortunately not, Ringo did speak to my while he was on stage and thanked me for the portrait and asked me to take a bow… thats about it (laughs). 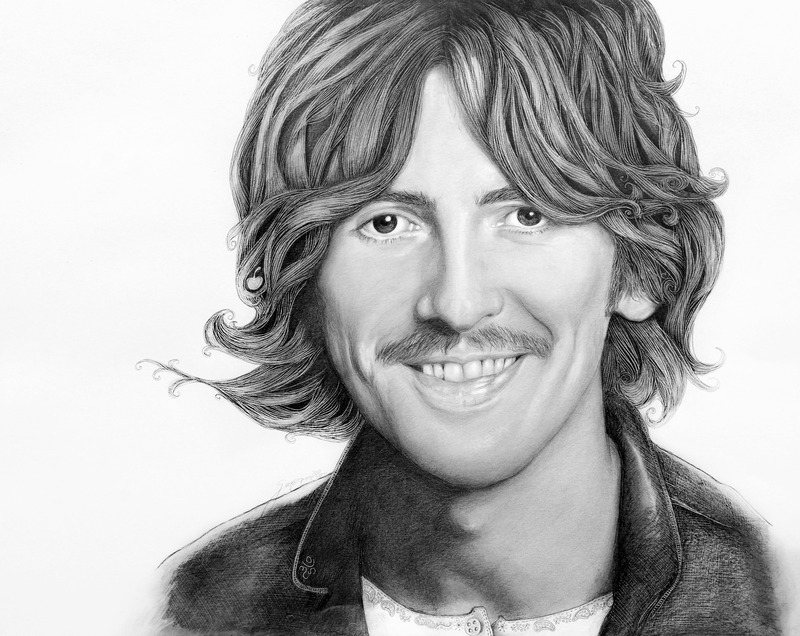 I do wish I could have met George, just to say thankyou for being my inspiration. What is it about the Beatles that make them so timeless? I find they reach every generation. It is fantastic to see lots of children at the Beatle fests that I attend. It shows how their music never ages. Do you have a dream project that you would most like to accomplish before you die? At the moment I’m working on so many projects drawing, designing, everyday I have so many new ideas. Today I could say one thing and tomorrow I’ll have another thing. I try to think about today… tomorrow hasnt happened yet. What projects can your fans look forward to next? Anything to say before you go? Just that I feel very lucky for all the opportunities that I have been given and thanks to everyone who has supported me by watching my work since I started posting on facebook 3 years ago… I have a lot more to give…Watch this space.